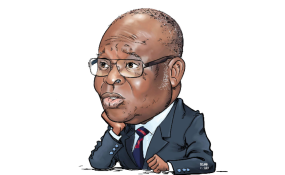 The Nigerian government on Thursday closed its case against the suspended Chief Justice of Nigeria, Walter Onnoghen, before the Code of Conduct Tribunal (CCT). Mr Onnoghen immediately notified the tribunal that he intends to make a no-case submission. The prosecution closed its case after calling three witnesses to the stand. During the session on Thursday, the counsel to the government, Aliyu Umar, said they have closed their case, despite listing six witnesses. Mr Umar said the three other witnesses could still be called to the stand if the defence wants to cross-examine them. "I have called three witnesses. If the defence needs them I can call the other three," the lawyer said. Responding, the defence counsel, Adeboyega Awomolo, rejected the offer. "I don't want them, I don't want them," he said. Mr Awomolo then informed the tribunal that the defence intends to file a no-case submission but they would need time to write an address. "We intend to take advantage of section 303 of the Administration of Criminal Justice Act (ACJA) 2015 on no-case submission," he said. "If your lordship permits me to write a written address, I'm praying to be given proceedings of 18th and today." Thereafter, the three-member panel led by the then chairman, Danladi Umar, ordered Mr Awomolo to serve his address on the prosecution next week Wednesday. Mr Umar then fixed March 29 as the day counsels will adopt their addresses. Mr Onnoghen is facing a six-count charge bordering on non-declaration of his asset as required by law.